In this book, Diego Elustondo explains fundamental scientific concepts in a simple, didactic, and consistent way. More precisely, he explains the evolution of the scientific knowledge (the human understanding of this world, this universe) from its beginnings to the present days. But this is not just an entertaining text of popular science. Elustondo approaches these concepts from such a perspective that shows how science itself leaves room for those events that we can’t explain or measure through a scientific method. In other words, he shows that the existence of “a superior consciousness”, “supernatural phenomena”, and “spiritual beliefs”, does not necessarily contradict science. As a skeptic person, this book did not convert me into a believer, but it changed my mind in one thing: now I think that God is not impossible. “I close my eyes and I see a flock of birds. The vision lasts a second or even less; I don’t know how many birds I saw. Is the number defined or undefined? This problem involves the question of the existence of God. If God exists, the number is defined, because God knows how many birds I saw. If God doesn’t exist, the number is undefined, because nobody was able to count. In such case, I saw less than ten birds (let’s say) and more than one, but I didn’t see nine, eight, seven, six, five, four, three, or two birds. I saw a number between ten and one, different from nine, eight, seven, six, five, etc. This number, as an integer, is unconceivable; ergo, God exists”. This book offers a scientific approach to philosophical thinking and encourages readers to explore their spiritual beliefs. Using simple stories and analogies, this book demonstrates that one can apply even the most modern and widely accepted scientific theories to interpret the mystical and supernatural. On the other side of the argument, many contemporary thinkers prefer to believe that spirituality should be kept out of the scientific debate. These thinkers maintain that, in the most extreme cases, believing in the spiritual is either ignorant or delusional; they argue that predictable evidence alone should explain everything that man should know. Metaphorically speaking, many scientists hold a certain conviction that science and spirituality should be strictly separated by an imaginary wall, which in turn proposes an obvious paradox as many reputable scientists are also spiritual people. Even for the most skeptical scientists in the world, it would not be realistic to assume that each and every person who has spiritual beliefs is necessarily irrational. This book proposes a much simpler explanation. It proposes that scientists are working under the wrong assumption when trying to validate the source of spiritual beliefs. Perhaps understanding how the universe connects with life requires assumptions that are not fully measurable and predictable for the human observer. This book argues that, under the right assumptions, enough measurable evidence exists today to provide near-certain proof that science and spirituality are compatible. Any division between science and spiritual elements that does exist has been created by the people who do not have the vision to see beyond predictable facts. For those who seek a higher purpose in life, this book illuminates the fascinating and revolutionary scientific theories that can provide physical shape to the otherwise elusive concept of the supernatural world. 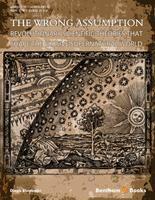 Unlike similar books that explore the connection between science and religion, this book refrains from manipulating science to fit a particular dogma; it simply highlights scientific concepts that may reveal the presence of a higher consciousness. Perhaps the most distinguishing feature with respect to others is that this book condenses the scientific knowledge currently dispersed throughout many books. The reader will explore classic physics, thermodynamics, electromagnetism, quantum mechanics, the theory of relativity, the theory of the Big Bang, the theory of evolution, molecular genetics, neuroscience, artificial neural networks, statistics, and many other scientific discoveries and theories that have long fascinated the general public. Unfortunately, the language of science is not always easy to understand. For this reason, this book uses only what technical vocabulary is necessary, without expecting readers to remember or even understand any equations and figures. It is written for readers with all levels of scientific education. For readers interested in learning more about science, bibliographic references are provided.